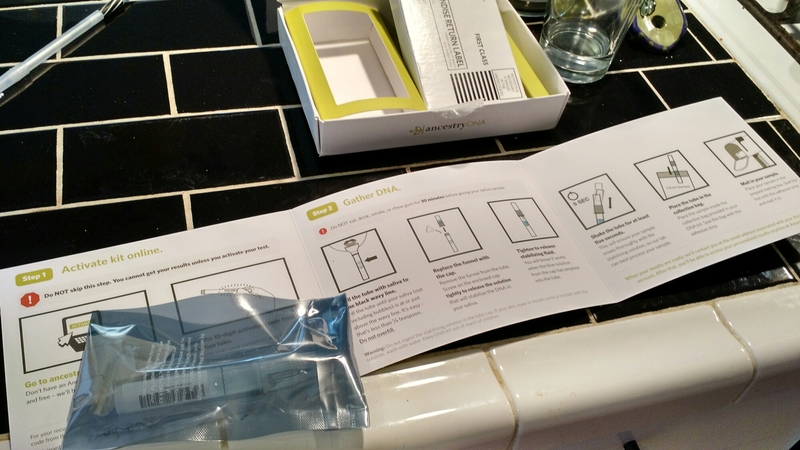 Earlier this week I got a present from my dad – a DNA kit from ancestry.com. I collected my sample (it’s saliva!) and once I send it I’ll find out where I came from. I’m guessing Europe. My husband sent off for the DNA kit from Ancestry.com a couple of years ago. It really helped him with his family line research.